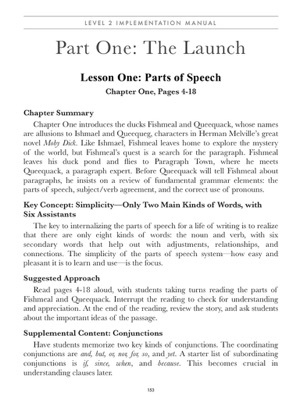 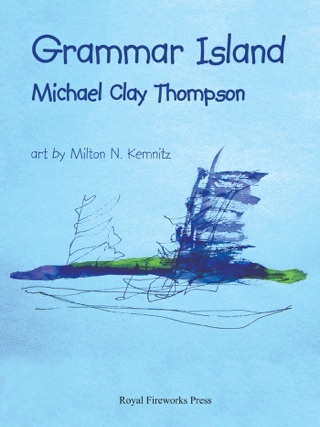 The Michael Clay Thompson Language Arts Curriculum Level 2 Implementation Manual is designed for parents and teachers to be used with the digital editions of the books in the second level of the MCT language arts curriculum. 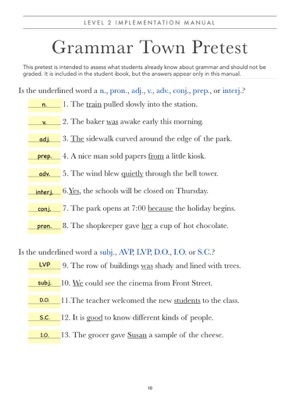 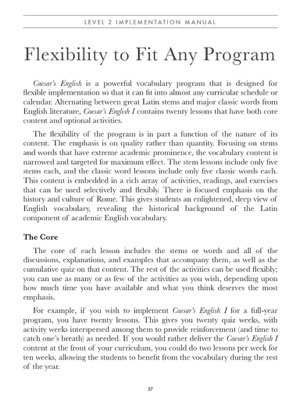 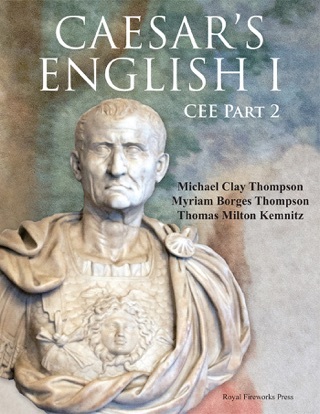 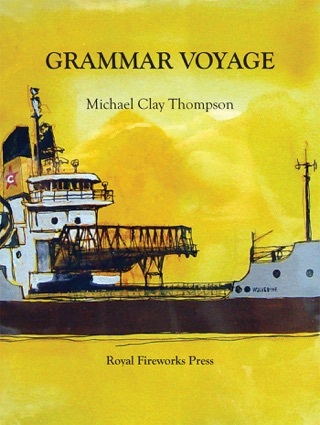 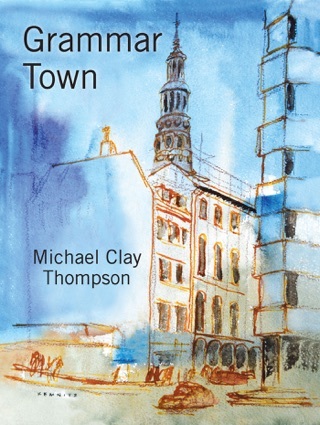 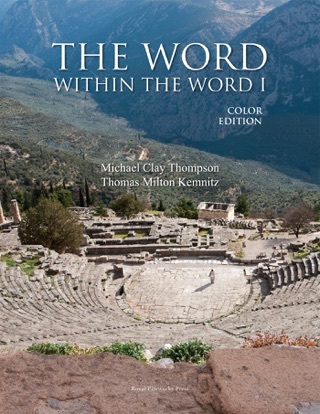 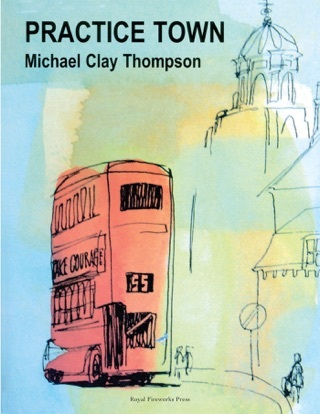 The Level 2 books include Grammar Town, Paragraph Town, Practice Town, Building Poems, and Caesar’s English I (standard edition) or Caesar’s English I, Classical Education Edition. 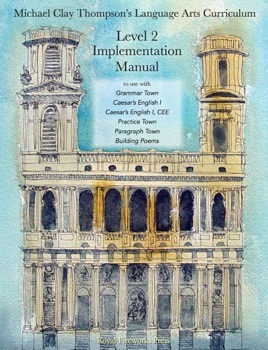 The Implementation Manual offers helpful suggestions for implementing the curriculum, as well as a chronology of when the books should be used in relation to one another for the best outcome in the child's learning. 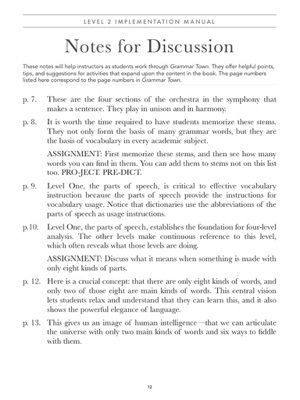 There are useful hints and tips for teaching, discussion questions, activities for students to do, and answers to tests and quizzes that appear in the student versions. 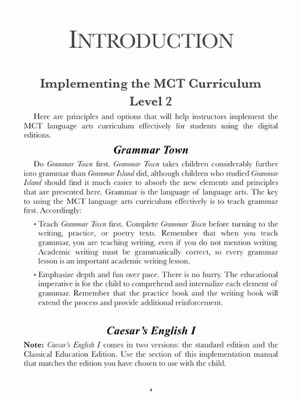 This book is essential for instructors who want to get the most out of the MCT curriculum and who want their children and students to get an optimal experience in learning language arts.